Health & Safety Executive (HSE) have stated that working at height is the leading cause of death and serious injury in the construction industry. Did you know that it is responsible for 28% of fatal injuries in working environments? This is due to both the risk of falling, and objects being dropped from above. With this in mind, it is essential for any person employed in construction to have a thorough understanding of the Working at Height Regulations 2005. What are the Work at Height Regulations? These regulations set out a list of rules that should be followed in order to avoid injury. The rules are mandatory for employers or those in charge of working at height, and can be enforced by law. Whether there is a risk of falling from a ladder, from the edge of a structure, or through an opening at ground level, the rules always apply. How do you comply with the Regulations? Firstly, you should try to avoid any work at height if at all possible. This could be achieved by using extended tools rather than ladders, or by lowering items to ground level before carrying out repairs. When risks cannot be avoided, you will need to minimise the distance and consequences of a fall. In order to do this you would need to research options such as netting, airbags, harnesses and Personal Protective Equipment. Ensure you have identified any hazards and the employees at risk. Based on this, you will need to put in place suitable precautions. Be aware that you are required to record your findings if you have five or more employees. Are the staff working at height experienced? Do they have the necessary skills and knowledge to perform the task safely? The level of competence depends upon the complexity of the job. To understand more about this, read the HSE guide to competence. Some jobs may only require basic training, such as guidance from a senior employee. Technical tasks will require a higher degree of training, such as completing a course on the safe use of ladders/working at height. Any staff involved in assembling, dismantling, inspecting or moving mobile access towers should complete a PASMA training course, such as the PASMA Tower for Users Course. You are required to provide proper safety equipment for your staff. Each task is different, and you’ll need to make sure that you choose the best option for the job. A guardrail or mobile access tower would be one of the safest measures. However, sometimes this may not be feasible and you would then need to use PPE, such as safety harnesses. Once you have the ladders, PPE, guard rails or access towers, you shouldn’t simply assume the risk has been negated. The equipment may move, degrade or break over time. Make sure you have someone trained to inspect the gear and that this is done on a regular basis. By following the steps above, you’re helping to ensure that you are working within the law and prioritising the safety of employees. This article was written by The Hireman, a tool hire and safety training company based in London. 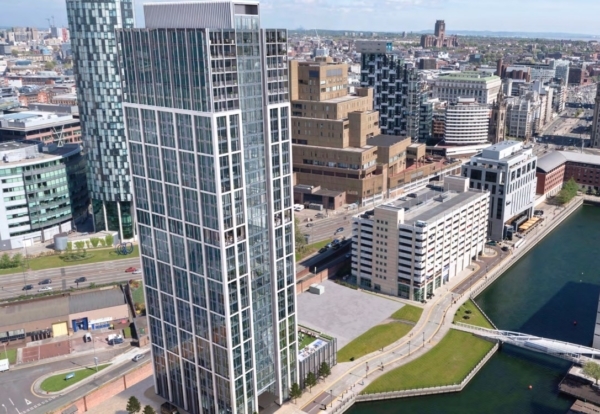 Chinese builder Beijing Construction & Engineering Group International has started work on a 34-storey build-to-rent project for developer Moda on the Liverpool Waterfront. The Princes Dock tower, designed by Falconer Chester Hall architects, has been called the Lexington because its echoes New York-style designs. Until now the Chinese state-owned builder has mainly worked in Manchester but is expanding in Liverpool. Having entered the UK in 2013, BCEGI is an equity and construction partner on Manchester’s £1bn Airport City and preferred contractor on Middlewood Locks, the £1bn mixed-use development in Salford, which will provide 2,215 homes alongside 900,000 sq. ft. of commercial space and a new hotel. Bachy Soletanche has started work on the historic waterfront site carrying out piling work. 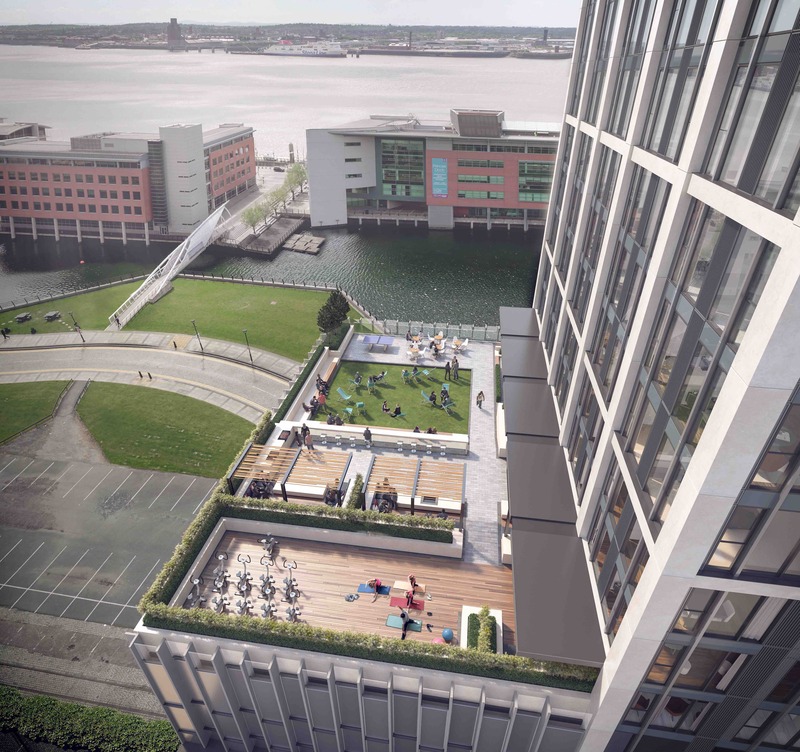 Once completed in 2021, The Lexington will offer 325 flats for rent, with communal facilities including a 17th-floor residents’ lounge, gym, a roof, terrace, a garden and a cinema. Tony Brooks, managing director at Moda, said: “With Angel Gardens in Manchester on track to complete next year, we’re delighted to have appointed BCEGI to deliver The Lexington.